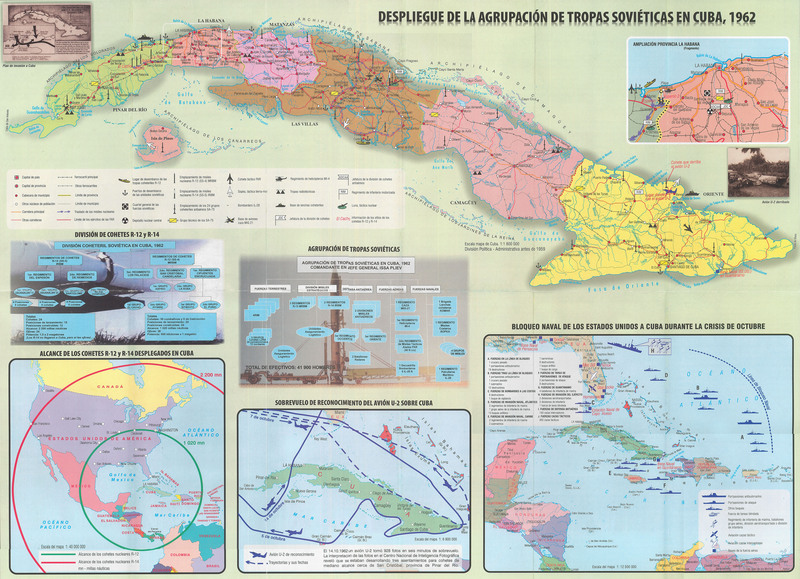 Cuban Missile Crisis Day by Day: From the Pentagon's "Sensitive Records"
Washington D.C., October 16, 2017 – The U.S. military drew up plans to occupy Cuba and establish a temporary government headed by a U.S. “commander and military governor” during the 1962 missile crisis, according to the recently declassified “Military Government Proclamation No. 1” posted today by the National Security Archive at The George Washington University. Final preparations for the U.S. invasion and occupation of Cuba were halted on October 28, when Soviet leader Nikita Khrushchev announced he was withdrawing the missiles from the island. His decision was the result of a secret, back-channel agreement to remove the Soviet missiles from Cuba in exchange for Kennedy’s commitment to pull out U.S. Jupiter missiles positioned in Turkey. “The resolution of the missile crisis averted what would have assuredly become the bloodiest military confrontation in the history of Latin America, between the ‘Colossus of the North’ and a revolutionary Caribbean nation” according to Peter Kornbluh, who directs the Archive’s Cuba Documentation Project. Unbeknownst to the U.S. intelligence community, Kornbluh noted, in addition to the intercontinental ballistic missiles the Soviets had brought tactical battlefield nuclear weapons to Cuba—and planned to deploy them against a U.S. invasion force. The occupation documents were recently obtained by Archive analyst William Burr through a series of Mandatory Declassification Review (MDR) requests to the U.S. Navy. 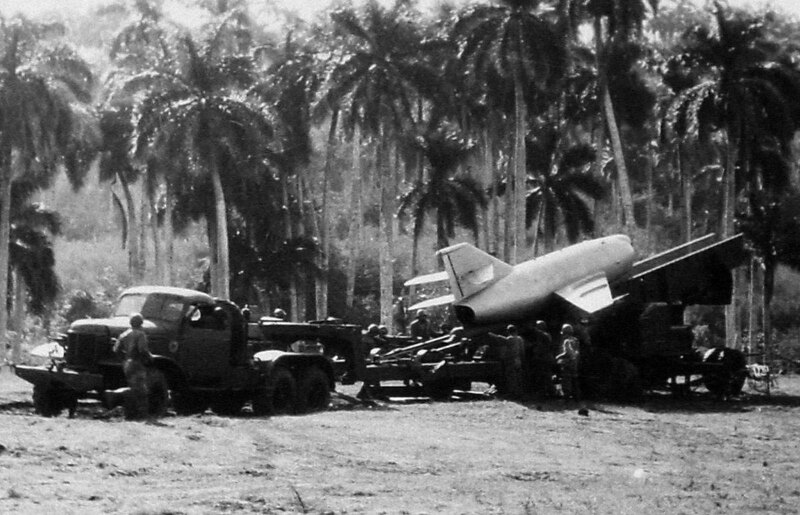 A second post-mortem, “CIA Handling of the Soviet Build-up in Cuba,” drafted by a senior officer in the Office of Current Intelligence, Richard Lehman, noted that as early as September 27, 1962, the CIA had intelligence on the arrival of surface-to-surface missiles in Cuba, but was restricted from circulating that information without corroborating photographic evidence, which could only be obtained from U-2 reconnaissance. The Lehman report described a September 10, 1962, White House meeting that included Attorney General Robert Kennedy, Secretary of State Dean Rusk and National Security Advisor McGeorge Bundy, after a U-2 plane had been shot down over China, and the Soviets had protested a reconnaissance mission over Sakhalin Island. “As a result, most of the participants were – to varying degrees – reluctant to chance another U-2 incident at this time. This meant that they were naturally hesitant to authorize any flights over areas [in Cuba] where SA-2s [anti-aircraft batteries] might be operational.” Rusk, according to the Lehman report, vetoed a CIA proposal for two extended U-2 flights over Cuba that might have detected construction of the ICBM missile sites. Indeed, U-2 flights over the Cuban interior did not resume until October 14, when reconnaissance photography captured concrete evidence of the missile sites. CINCLANT Message to Joint Chiefs of Staff, “Proposed Leaflet,” 20 October 1962, Top Secret. CINCLANT Message, “Leaflet Target List,” 20 October 1962, Top Secret. After the missile crisis, the CIA quickly conducted two major post-mortems on its intelligence gathering and distribution. This Inspector General’s report focused on constraints on the circulation of agent and refugee reports about missile deployments during September and early October 1962. A publication “ban” tightly limited circulation of such reporting. No intelligence reports about offensive missile deployments could be published without photographic corroboration. That kept information on the missile deployments from reaching the Central Intelligence Bulletin, much less the President’s Intelligence Checklist. According to the IG, “at least eight widely disseminated reports in September and early October ... might have found their way into publications had it not been for the ban.” Intelligence also failed to reach higher levels because of skepticism among intelligence analysts about “refugee and agent reporting.” Moreover, “extreme caution” at top levels limited the scope of U-2 flights over Cuba. This report by Richard Lehman with the Office of Current Intelligence to John McCone addresses the “photo gap” caused by high-level constraints on U-2 flights over Cuba before 14 October 1962. In September 1962, the report suggests, there was a “lack of urgency” in the U.S. government about the possibility of missile deployments in Cuba. Lehman highlighted a White House meeting on 10 September 1962 where U.S. officials decided to sharply limit U-2 flights over Cuba. Taking place right after Soviet protests of a U-2 flight over Sakhalin Island and China’s shoot-down of a Taiwanese-flown U-2, “most of the participants were to varying degrees reluctant to chance another U-2 incident at this time.” Consequently, Secretary of State Rusk objected to a CIA proposal for two extensive overflights and “insisted, instead, that coverage of the rest of Cuba should be designed so that peripheral flights over international waters would not be combined with overflights of Cuban territory.” The CIA subsequently carried out two peripheral flights and two overflights, one over the Isle of Pines and the other over eastern Cuba. Consequently, no U-2 flights over central Cuba took place between late August and 14 October 1962. Nuclear-armed FKR (frontovaya krylataya raketa/front-line winged rocket) cruise missiles, whose deployments in Cuba were so secret that the U.S. Air Force failed to detect them. This group had the mission of destroying the U.S. naval base in Guantanamo (photo courtesy of Michael Dobbs). 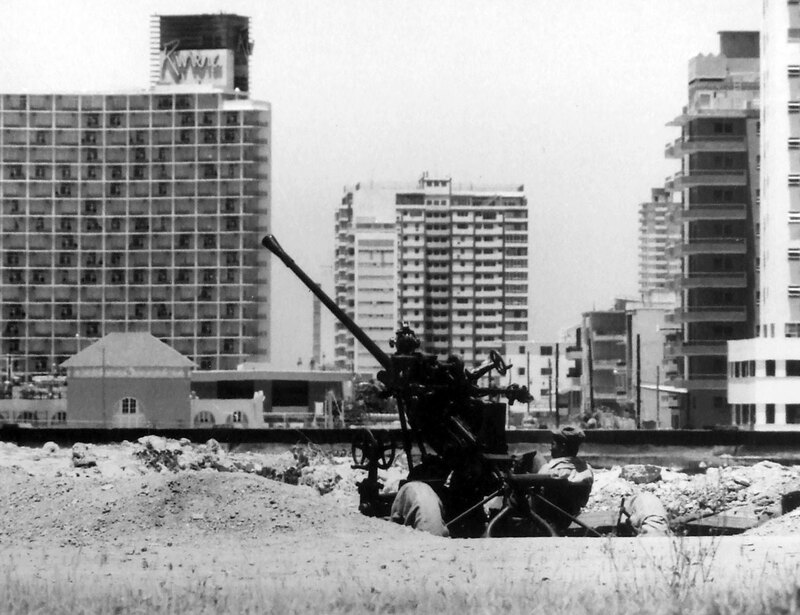 Cuban anti-aircraft gun in front of the Hotel Riviera, Havana (photo courtesy of Michael Dobbs).